All orders are processed via USPS and shipped within 2 business days! 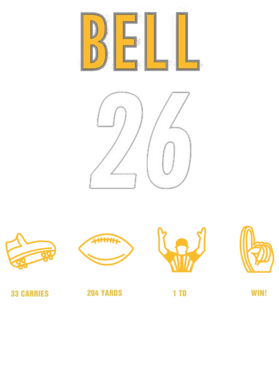 If you have any questions about your order please email us at sales@supersportstees.com between the hours of 9 AM to 5 PM Monday through Friday EST! 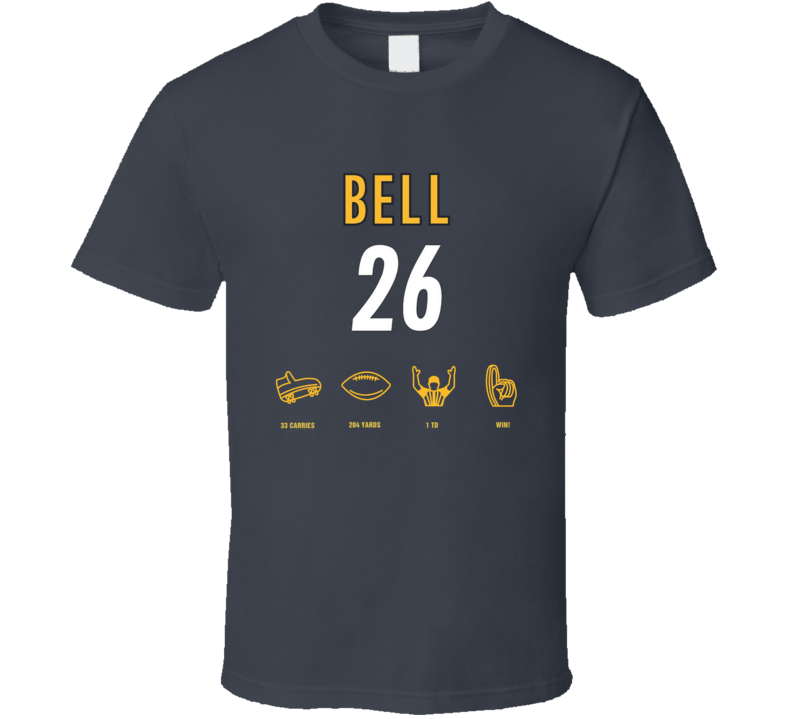 Excellent Le'Veon Bell 26 Football Stats T Shirt DTG printed on soft, 100%, pre-washed cotton. Essential Father's Day, Birthday, Christmas gift... or personal sports fan t-shirt. As our products are made-to-order we only accept returns if the package has arrived damaged or the incorrect package has been delivered. (1) For packages which arrive damaged we will offer a full refund less the cost of shipping. (2) For incorrect deliveries we will have the correct order reshipped free of charge. (1) For packages which arrive damaged proof of damage must be shown along with your email when inquiring about a return. A photo of the defective product would suffice. (2) For incorrect deliveries proof of incorrect item must be shown, we shall cross reference this with your order information and will reship your order free of charge. A photo of the incorrect product would suffice. Contact sales@supersportstees.com if you would like to return your order.